What size homes make up most of the Peoria market? There have been 430 homes sold (ytd through July) between 1,600 - 1,899 sqft, and another 400 have sold from the 1,900 - 2,199 sqft range. 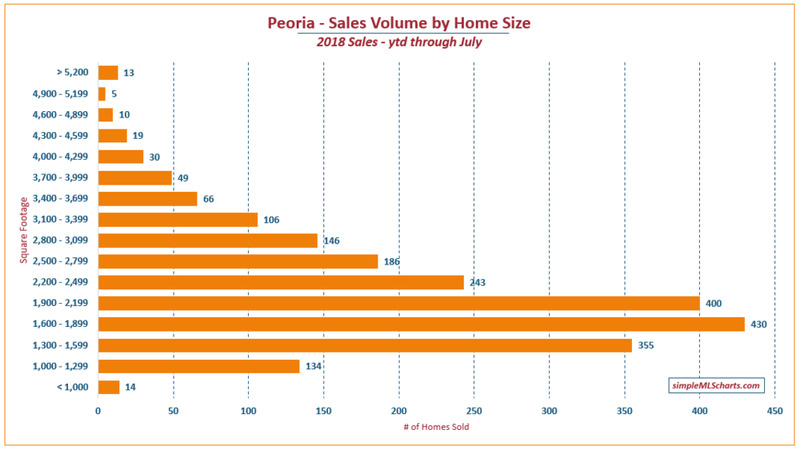 Taken together, this means 38% of the homes sold in Peoria have been between 1,600 and 2,199 sqft.